Here at Point of Sale Australia we've been making retail work at it's best since sometime in the early 1990s. Seriously, our roots trace so far back that we'd have to dig through the dusty paper archives to find the exact dates of origin for you. And lets face it, who's got time for that? We're all focused on the 'right now' and looking forward. Whether it be solving a client's needs by applying deep knowledge on the Optimal label paper, 'sticky side' and ribbon combination, the right paper for your receipt printer, equipment to set up your store, or complete system for your operation from Retail sales and in-store stock management, or online sales, right back to to Warehousing and logistics and Restaurant / Take-Away and cafe management - we've got you covered with best of breed products and systems. 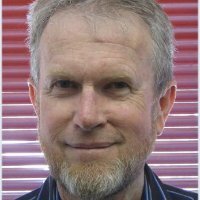 Our founder David Swanborough was an electronics and aviation specialist in the 1980s, and branched out into computers and software for business in the late 1980s as a 'side hustle' in the country town of Charleville, Queensland. By 1989 he had an offer from a supplier to move to Brisbane and partner in their business, shortly after they expanded into larger premisis and re-named as 'IPC Computer Systems', shortly after to Niche into 'IPC POS Systems'. A year or two later, directional differences of managing directors saw David buy out the company and it became POS Australia for many years following. Now, in 2016 and beyond, P.O.S. Australia serves select clients Australia wide thanks to a well established partner network, strong suppy-chain relationships, and fundamental knowledge that money can't buy.